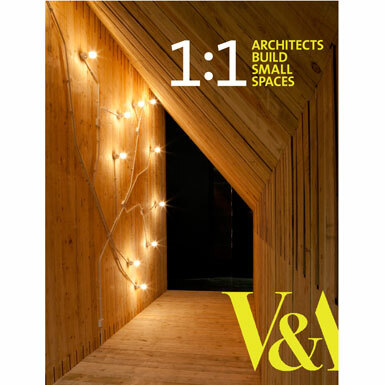 As we mentioned yesterday, the catalogue for the V&A's 1:1 Architects Build Small Spaces exhibition is a real treat: 48 pages, 71 colour illustrations, and all introduced by the exhibition's curator, Abraham Thomas. We have one to give away in our easy-to-enter competition. Simply send us a photograph featuring your copy of the just published shedworking book Shedworking: The Alternative Workplace Revolution and our favourite will scoop the prize. It could be you reading it, the book placed strategically in your own shed or garden office, or some other completely different idea. Be as creative as you like. Usual Shedworking competition rules apply. Closing date for entries is July 10. Email entries (or an URL where they can be seen) to shedworking@gmail.com.